IRAN. Tehran. February 11th 1980. 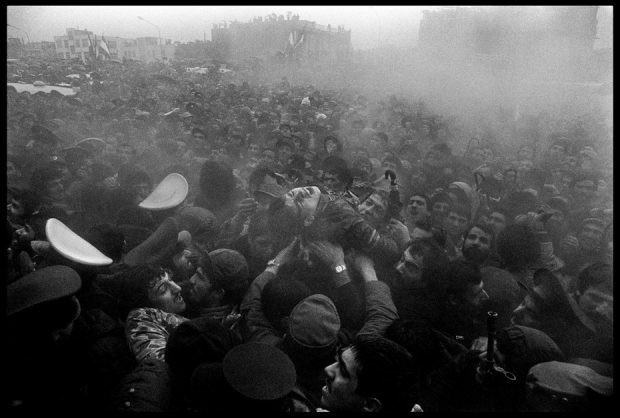 During the celebrations of the first anniversary of the Islamic Revolution, a young man has fainted in the dense crowd.